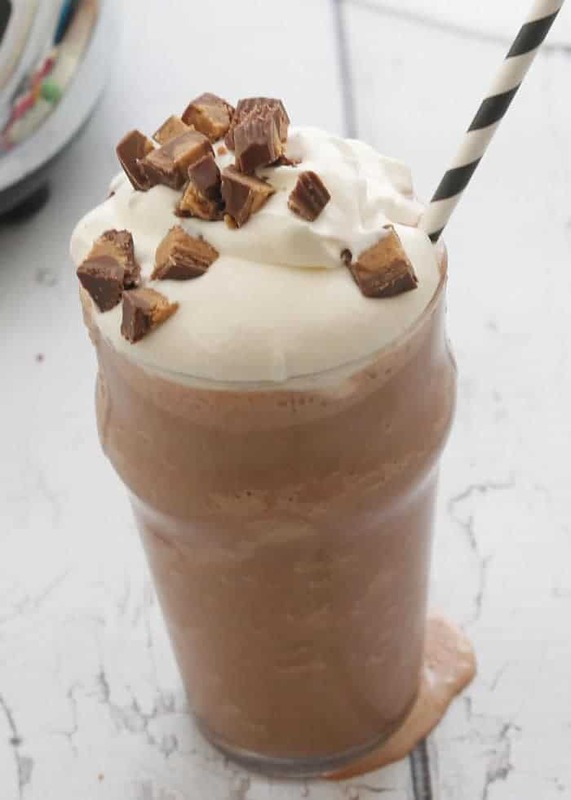 Chocolate Peanut Butter Milkshakes and AutoTrader - Chocolate Chocolate and More! 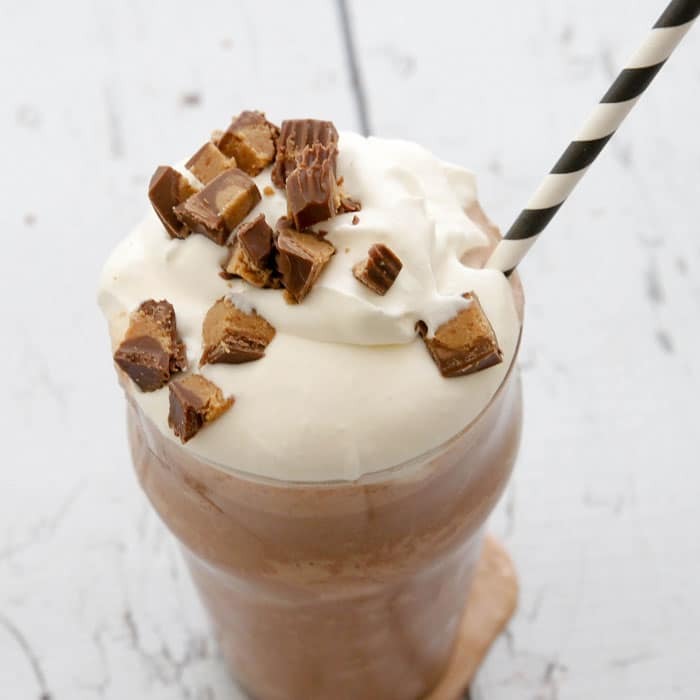 Chocolate Peanut Butter Milkshakes-tastes like drinking a frozen peanut butter cup! Life brings so many changes. The latest “change” in my life would be my oldest graduating high school a few weeks ago. I’m proud of the man he’s becoming. The choices he’s making for his future. Knowing both his strengths and his limitations. I’ve been waiting on his decision about where he’s going to college. There were 2 top choices. One would have him living away from home, on campus, on his own completely. The other choice would be a school closer, one he could commute to, from home, at least for the first year. The closer school won! (I did a secret happy dance!) I’ve been planning for both possibilities. As a one car (I actually have a truck and love it!) family, I knew if commuting won, I’d be purchasing a new car. One with a great safety rating, good gas mileage and the right price. I’ve done my homework. A Ford Focus was my choice. 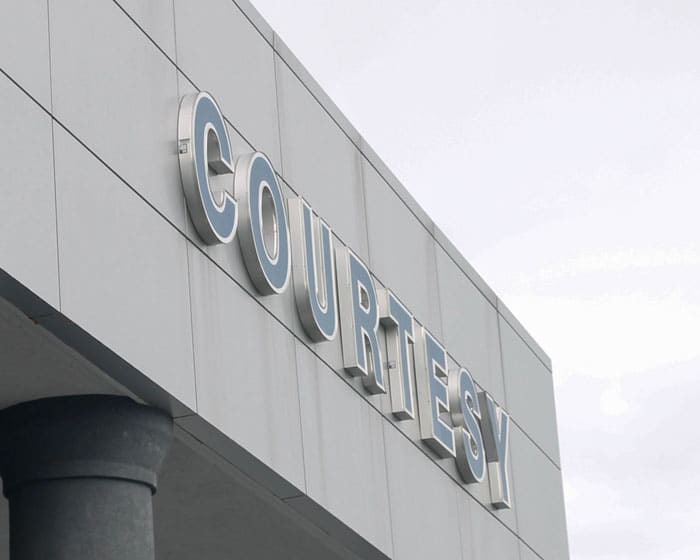 The only thing left to do was find that perfect car at a dealership. It’s been a long time (20+ years) since I last negotiated for a car on my own. Things have changed. The greatest tool out there now is the internet. You can do all your shopping online before ever stepping on a car lot. And that’s what I did. 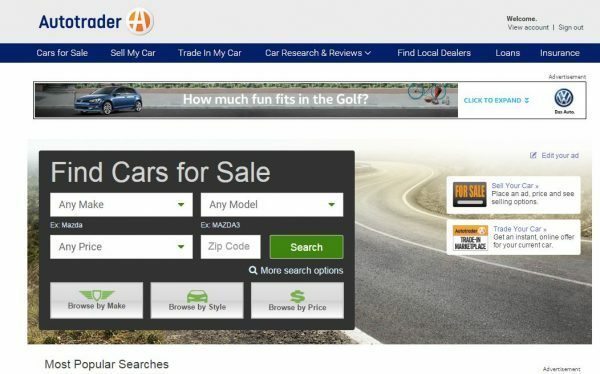 I’ll be honest and tell you I never thought about using Autotrader to look for a new car. I thought it was all about used cars. I wanted brand new. I figured our new car would come from a dealer close to home. 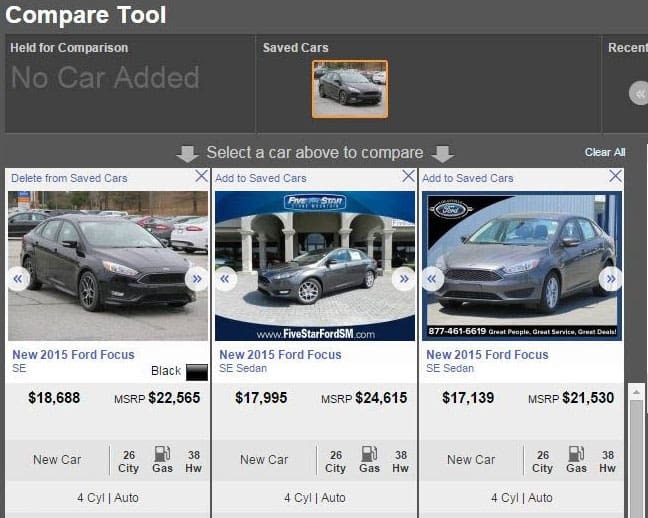 It’s your next car, you should love shopping for it. I filled in all the blanks, and hit search. The perfect car was there, along with 2 others that were so close, if I didn’t get the deal I wanted from the first dealership, I could move on to the next one. They even had more options than I was looking for at a better price than I was able to get locally. Long story short, we sealed the deal over the phone with Courtesy Ford in Conyers, Georgia and drove 75 miles to sign the paperwork and pick up our new car. My biggest stress was the rain. Even that stopped for us as we prepared for our trip back home. Just look at that happy face. Feeling Drivetastic, thanks to a simple search on Autotrader. 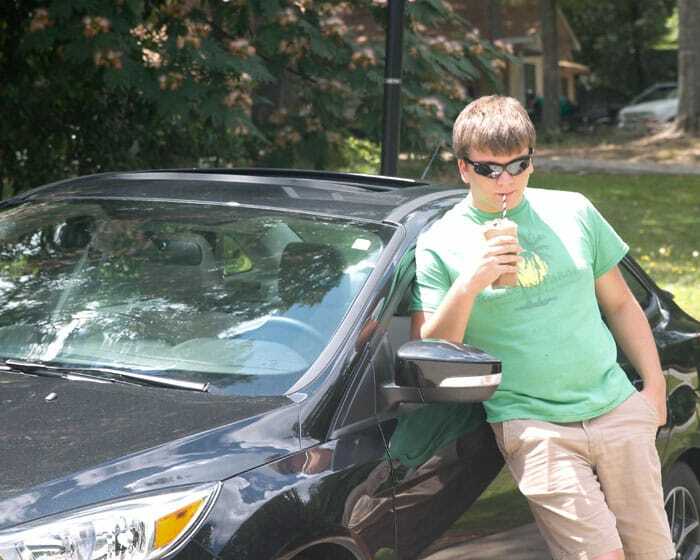 The best way to celebrate a new car is with milkshakes! Not in the car of course, there will be no eating or drinking in his new car for at least a month, lol. Peanut Butter and Chocolate is the best combination ever invented. And it’s even better as a milkshake! You can make it all fancy with a little fresh whipped cream and a chopped up peanut butter cup. 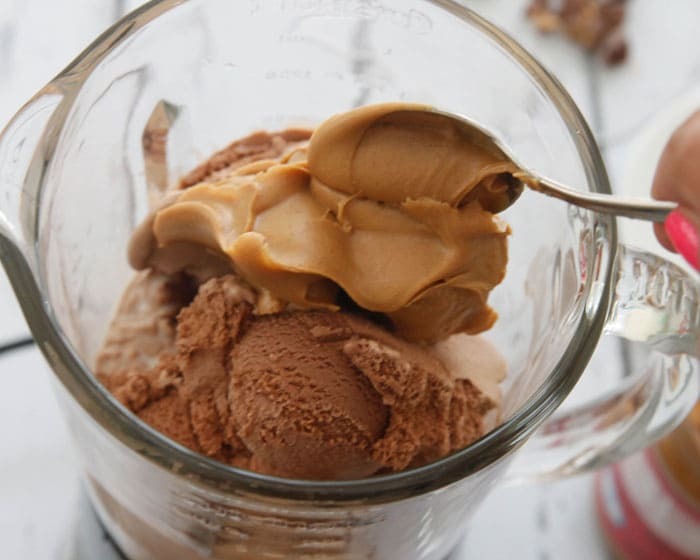 Place chocolate ice cream, peanut butter and milk in a blender. Blend until smooth. Pour int a large glass or 2 smaller glasses. 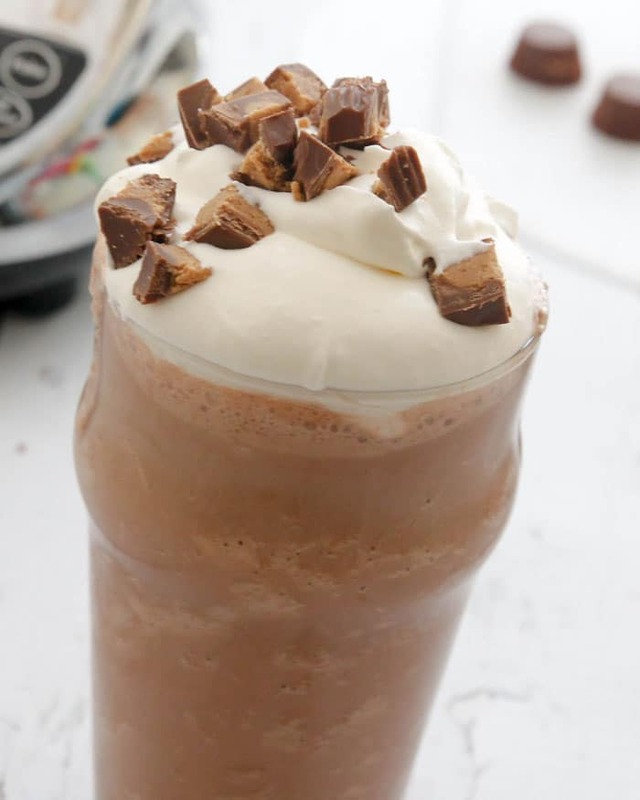 Top with whipped cream and chopped peanut butter cups, add straw and enjoy! Everyone deserves a milkshake after washing that bug off the front of the car that made the mistake of getting in his way. This post is sponsored by Blogher and Autotrader, it is my true experience with buying a new car and I want to share what helped me make the best choice for buying a new car. 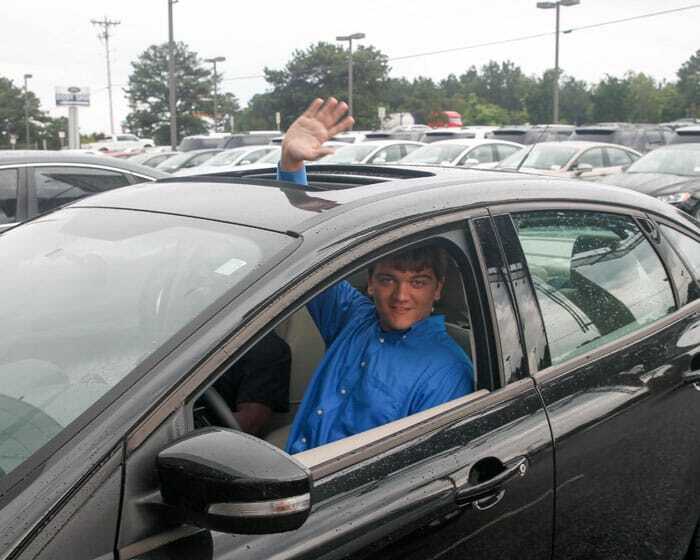 Congratulations on the new car and good luck to your son in his first year of college! Milkshakes are perfect for celebrating and you can’t go wrong with chocolate peanut butter! LOVE! This shake looks amazing!!! Joan that was the cutest story.